The cultural scene of the capital, which was heavily restricted and censored during dictatorship, revived in the 90's. Classical music or street theater, Rock, Pop or Latin-American music: Here in Santiago every night turns into day. 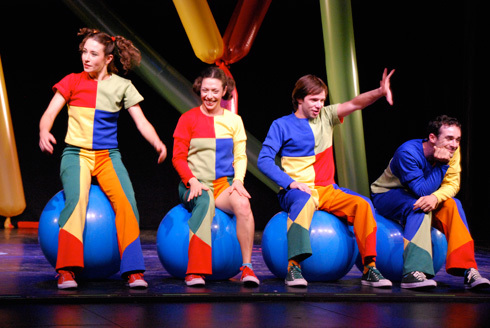 In Chile there are hardly any theaters with stable ensembles, but instead many creative independent theater groups. 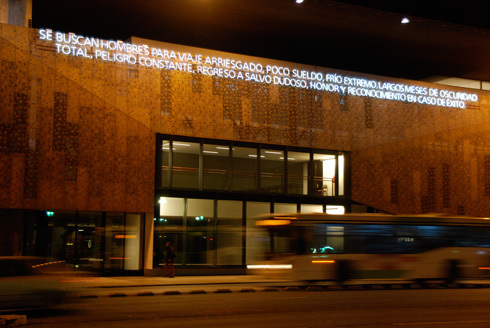 Presently, the most interesting performances can be seen at the new Matucana 100 Cultural Center, in the cultural center Gabriela Mistral or in the private theaters Lastarria 90 and Centro Mori. 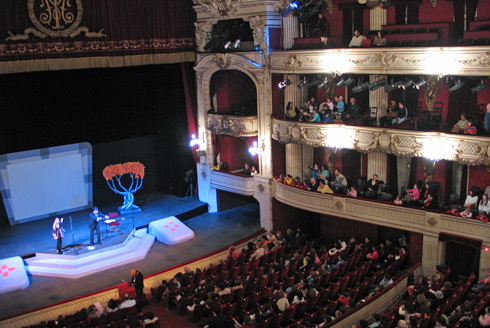 The Anfiteatro Bellas Artes offers interesting plays focusing on object and marionette theater. 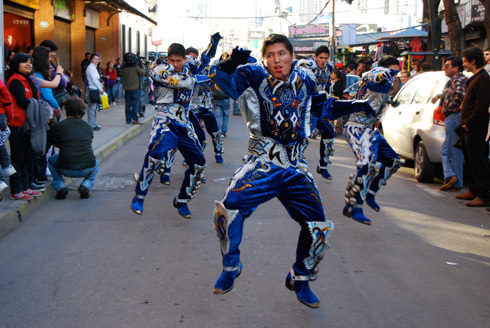 The traditional performances at Universidad Católica, Universidad de Chile (Sala Antonio Varas and Agustín Siré) and La Comedia also have a good reputation. January is the month of theater in Santiago! The theater festival Santiago a Mil takes place then. For a whole month there will be shown a variety of national and international plays in numerous theaters. Santiago offers an excellent selection of Hollywood or downstream movies. 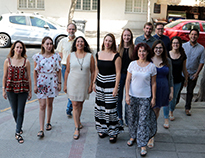 The latest productions from around the world are shown in their original language with Spanish subtitles. Reduced tickets on wednesdays (in theater complexes from monday to wednesday), student discount with prove of identity card. Three resident orchestras and numerous groups offer a wide range of options. 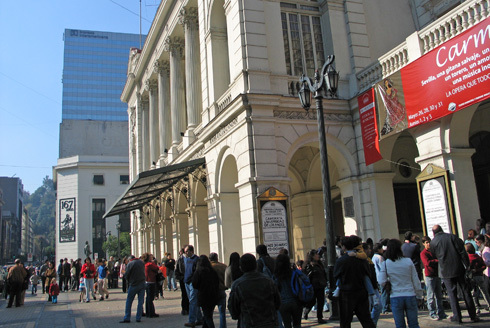 If you are interested in ballet, opera and concerts, visit Teatro Municipal de Santiago, Teatro Municipal de las Condes, Teatro Universidad de Chile at Plaza Baquedano, Centro Gabriela Mistral or the Escuela Moderna de Música. Numerous rock and pop groups move from club to club at night, just as Latin American musicians do. Even well-known bands do not mind to play regularly in music bars, e. g. in the districts Brasil, Bellavista, Suecia or Plaza Ñuñoa, or on the artist stage Sala SCD. Bigger concerts take place in the stadium Víctor Jara (formerly Estadio Chile) or in the Teatro Monumental, while famous artists draw as many as 50.000 spectators to Estadio Nacional. Jazz has become very popular over the past years. Beside the traditional Club de Jazz there are now more Jazz bars like El Perseguidor or Thelonious (both in Bellavista). Dates are published in the daily press. El Mercurio and La Tercera have a detailed cultural section. 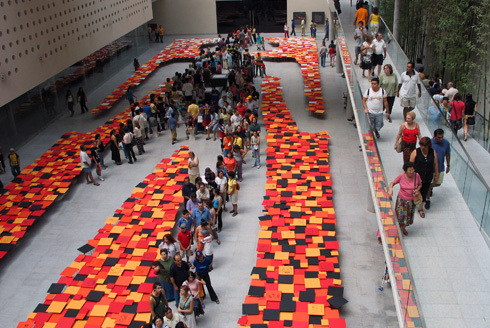 On the internet you find the information about the cultural program on 800.cl oder carretes.cl. Tickets can be purchased via the websites Ticketek - Puntoticket.